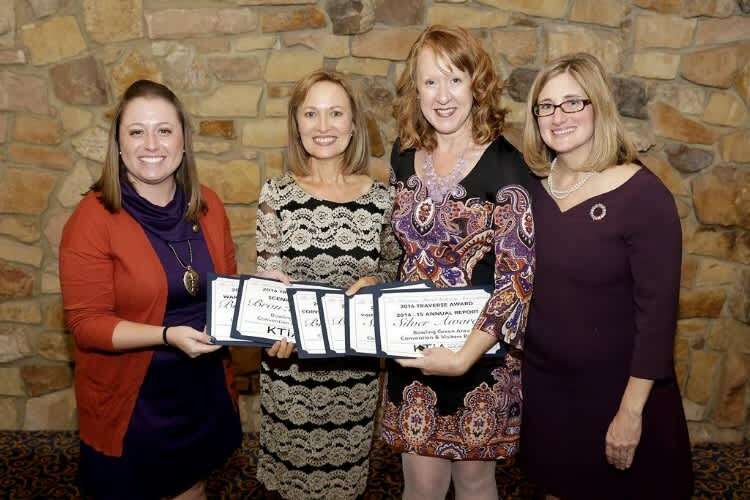 Bowling Green, Ky.—November 7, 2016—The Bowling Green Area Convention & Visitors Bureau received seven awards at the 2016 Kentucky Travel Industry Association’s (KTIA) Traverse Awards for Excellence in Tourism Marketing competition last week. The CVB received Silver Awards for its Website, Social Media and Annual Report. Bronze Awards were received for Out-of-Home Advertising, Print Ad, and two Rack Brochures during the Traverse Gala held at the Griffin Gate Marriott Resort in Lexington. The new Warren County Quilt Trail and Scenic Ride Guide brochures that received Bronze awards have been well-received by groups in search of activities off the beaten path. Find them at any of the Visitor Information Centers at highly-trafficked locations across the city like the Sloan Convention Center, Knicely Center, BG Ballpark, WKU Alumni Center, National Corvette Museum visitor information kiosk, and the CVB main office. Kentucky travel and tourism businesses and marketing organizations vie for awards during the annual competition produced by KTIA. A panel of out-of-state experts judges entries from across the state for this year’s presentation of awards. Traverse entries are open to KTIA members marketing a tourism product or service in Kentucky. KTIA is a Frankfort-based state association that represents every segment of Kentucky’s tourism industry. The nearly 800-member association offers continuing education programs, works in the area of governmental relations, produces statewide travel conferences each year and provides legislative advocacy for Kentucky’s travel industry. For more on the Kentucky Travel Industry Association, see www.ktia.com. 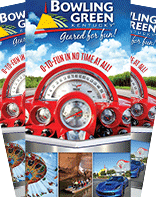 For information on the Bowling Green Area CVB, please visit www.visitbgky.com.